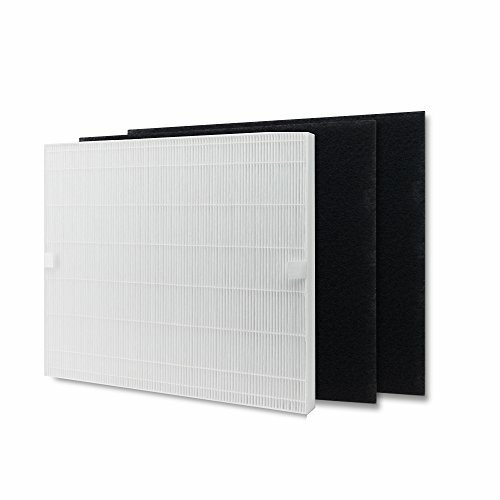 Keep your ECO HEPA Air Purifier running efficiently by changing the filters as recommended. This one-year ECO HEPA Filter Pack includes one HEPA filter (to remove 99.97% of dust and allergens as small as 0.03 microns), plus two carbon pre-filters (to remove gases and odors). The indicator light will tell you when to replace the filters: replace the HEPA filter once a year, and replace the carbon pre-filter every six months. Your room will feel cleaner and smell fresher with regular filter changes.